Required minimum distributions (RMDs) are calculated off of last year’s end of year value and need to be taken out by the end of the year. That means you could take the RMD out as early as January 1st or as late as December 31st, but when should you? There are a lot of differing opinions when it comes to this question. Most articles on the subject definitively say either “you should take it early in the year” or “you should take it late in the year” with no qualification and not much justification. In reality, the answer is: it depends. Fundamental to the question is another question. Assuming that you are a diligent saver and investor who will immediately reinvest your RMD upon its arrival into the new account, the question really is: Where do you want to store your investment gain for the year? If you think about the three account types as traditional IRA (taxed on the way out), Roth IRA (taxed on the way in), and taxable brokerage (gains, dividends, and interest taxed), the answer is easy. You want the year’s investment gain in your Roth. Roth accounts have taxable contributions on the way in and tax-free earnings and distributions on the way out. Of the three main account types, Roth is the only account where investment gain is not taxed, so it is the obvious first choice for where you want the year’s earnings to occur. Although your RMD is not allowed in your Roth IRA, Roth conversions can, and before you can convert, you need to take your RMD out. This means if you take your RMD early in the year and convert from the remainder of your traditional IRA right afterwards, all the growth on your Roth conversion is tax-free in your Roth. You can see this in Scenario 1. In this scenario, you fully convert your traditional IRA to Roth IRA in only three years. 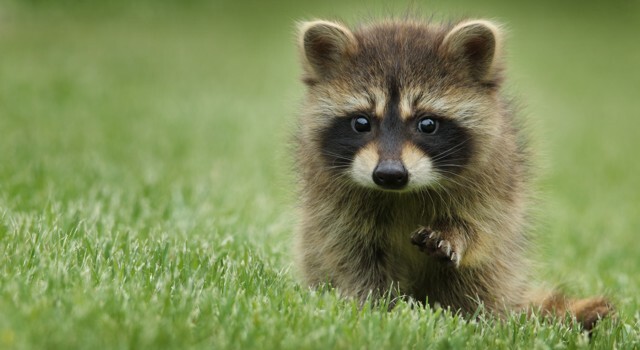 Taking the RMD early allows you to convert early which puts this year’s large earnings on the $100,000 conversion as Roth assets instead of traditional assets. Then, the magic of compound interest makes this small change into big savings over the years. We are huge Roth advocates. You should open a Roth IRA today and get started on converting. In Scenario 1, we convert the IRA really quickly with conversions 10 times the size of your first RMD. Getting the conversion done early in the year is where the savings is. Doing the RMD early is how we are allowed to do the conversion early. To demonstrate this, Scenario 2 is the same as Scenario 1 without the Roth conversion. In this scenario, there is no conversion, just years of RMDs. Taking the RMD early means losing the growth of the 30% withholding that you otherwise could have kept but also having current and future growth taxed at the better qualified rate in the taxable account. This positive and negative effect net out to an overall argument to delay your RMD until later in the year. Having tax withholding on your RMD makes you lose all investment gain on the amount you withhold. If you take your full RMD early, you lose all the gain you could have gotten on the withholding. 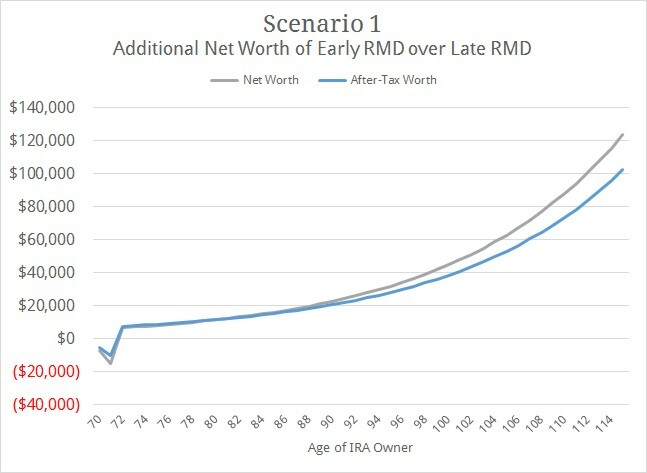 Meanwhile, if you take the RMD at the end of the year, you get to keep that year’s investment gain in your IRA. As you can see when comparing Scenario 1 and Scenario 2, getting the gain in your Roth IRA is more important than losing the withholding. But, if for some reason you are not converting, it might be better to delay your RMD so you can keep the withholding’s gain. 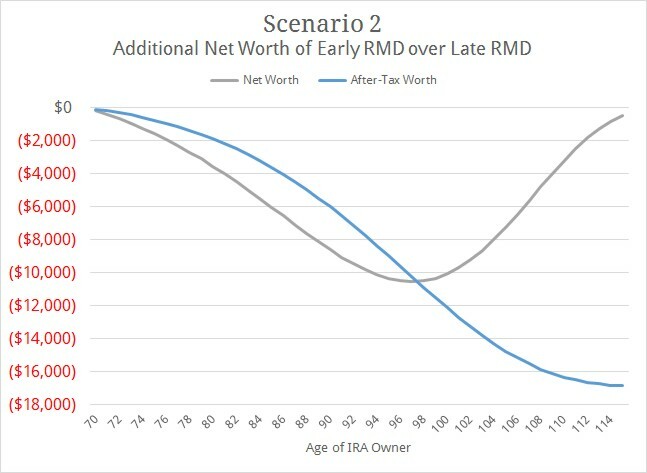 Delaying your RMD until the end of the year means the earnings stays in your traditional IRA where it will be taxed at income rates one day, either with you or your heirs. Taking your RMD early in the year means the earnings happen in your taxable account, most of which is taxed at a lower qualified rate. Without conversions or withholding, taking your RMD early is advantageous. After all, less money in your IRA and more in taxable account means less money taxed at higher income rates and more money at lower qualified rates. Here is Scenario 3 to demonstrate. In this scenario, there is no conversion and no withholding. Taking the RMD early means having current and future growth taxed at the better qualified rate in the taxable account. 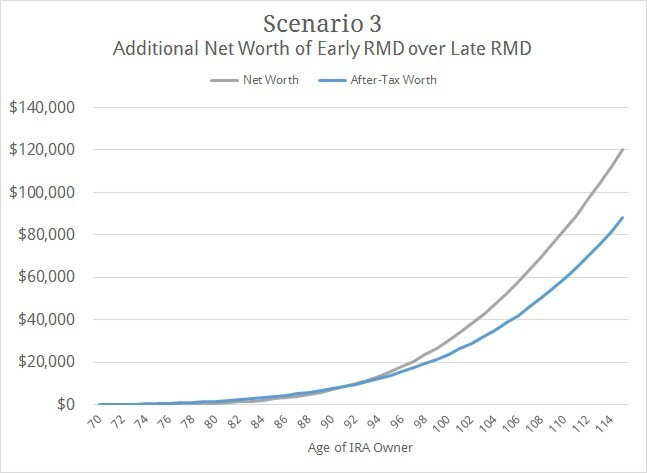 Taking your RMD early means having less assets in your IRA. The RMD is removed from your IRA and the growth of those assets happens in your taxable account. If you are not engaging in regular conversions now but are going to soon, having less in your IRA means less money that you can later convert to Roth IRA. While a Roth conversion is one tax on the conversion and then the rest is tax-free, the money in your taxable account is taxed annually as securities generate dividends, interest, and capital gains. Losing the opportunity to convert this year’s investment gain costs more and more each year as this year’s investment gain grows with compounding interest. This makes your taxable burden grow bigger and bigger each year. Although it is true that left in the traditional IRA, your tax burden grows bigger each year as investments grow, so does your potential to convert to Roth IRA. In Scenario 1, the conversion was 10 times the size of the RMD. If I reverse that ratio and make the RMD 10 times the size of the conversion, you can see that it becomes better to delay the RMD. In this scenario, the conversion is so small that you only finish converting at age 115. 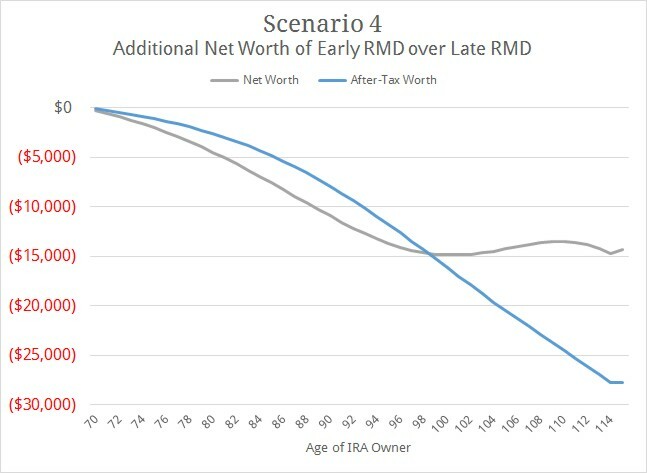 Taking the RMD early means both losing the growth of the withholding and putting what growth you do keep into the taxable account where it can never be converted to Roth. This is a double hit which makes taking the RMD early even worse here than Scenario 2. For all of us, there is a finite amount that can be moved to Roth IRA. With strict contribution rules for retirement assets and a limited number of working years to contribute, by the time you are taking RMDs you likely cannot increase the pool of assets which are capable of being Roth. Protecting the assets that you do have from being removed from retirement accounts is valuable. Unlike taxable assets which will continue to generate a tax burden until you die or spend them, traditional IRA assets in a Roth conversion strategy will one day become Roth IRA and on that day the savings of having protected those gains will begin. If you are converting a small amount relative to the size of your RMD and have withholding, delaying your RMD might produce more value. 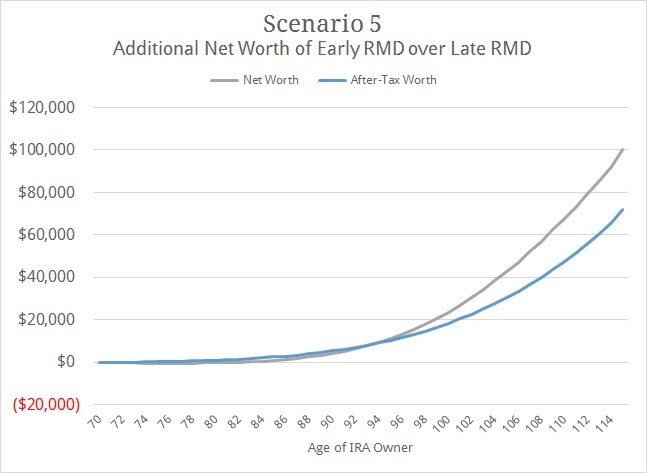 Withour the withholding, the benefit of the Roth growth and taxable account’s qualified rate make it better to take the RMD early, as in Scenario 5. In this scenario, the conversion is so small that you only finish converting at age 115. Taking the RMD early means putting what growth of the conversion in the Roth account and having current and future growth of the RMD taxed at the better qualified rate in the taxable account. Although there are many factors which determine the best RMD timing, we can generalize these scenarios into some principles. In general, you should take your RMD early as conversions benefit from happening earlier in the year and there is a lower qualified rate in your taxable account. However, if you have withholding on your RMD and are doing small or no conversions, you should delay taking your RMD until the end of the year to protect the growth on the withholding and protect the IRA assets for later conversions.